Good morning TAY! Or good evening, or night...whatever it is for you. 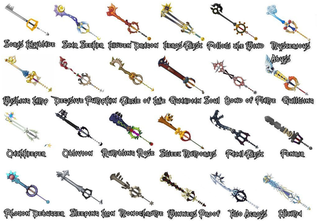 My luck has been horrible as of late, and honestly I think I need a keyblade. To open doors. To transport me when my car breaks down. To kill things...mostly bugs and mice and things that invade houses in cold weather. Or at least use the length to set said things outside without being close to them. Yep. Anyone got a keyblade? Anybody else having bad luck? Anyone need a fictional weapon? Anyone wanna talk about anything? Let’s talk!